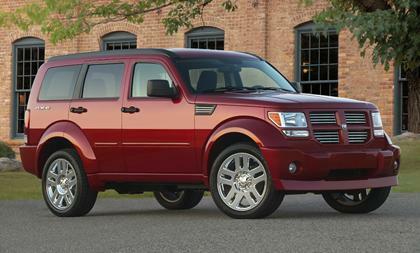 The last two Dodge Nitro and Dodge Calibers rolled off their respective assembly lines this month, a pair of crossovers that will likely be little remembered in automotive history. Neither every found their place in the market, says Automotive News' Chrysler reporter, Larry P. Vellequette. He refers to the Nitro and Caliber as among the "the most heavily Daimler-ized vehicles in Chrysler Group's product portfolio," a reference to how they were developed when Chrysler was owned by Mercedes-Benz Daimler of Germany. Both seemed to be a compendium of spare plastic parts, never really finding a sales niche compared with their respective linemates and derided as uncompetitive by reviewers and executives alike. He says both fulfilled their roles of boosting volume at the Illinois and Ohio plants where they were produced, and were aimed mostly at women buyers. Nitro, made in Toledo, was underpowered and had an uncompetitive four-wheel-drive system.